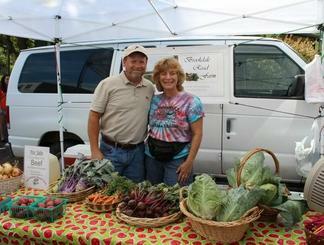 We are Scott and Gennifer Johnson and we run Brookdale Road Farm in Woodstock, IL. We see free-range eggs and take orders for our grass fed beef. We mainly sell in McHenry County, Illinois and also Walworth and Rock County, Wisconsin. Brookdale Road Farm is family-owned and operated right here in Woodstock, IL. Our farm has been in the family since 1958. Scott's parents, Stan and Marge Johnson, are the original farmers. Their main business was dairy before retiring in 1993. We thank God for all His help and guidance in what we do!